A safety device that breaks a circuit when the current exceeds a safe limit. A safety device that breaks a circuit when the current exceeds a safe limit. An electrical fuse contains a thin strip of metal that melts if too big a current flows through it. This interrupts the circuit, protecting other, more expensive components from damage and reducing the risk of fire caused by overheating. Without a fuse, an electrical appliance could be damaged by excess current. This type of safety measure is known as sacrificial protection – the fuse is destroyed in order to save the rest of the circuit. An electrical fuse contains a thin strip of metal that melts if too big a current flows through it. This interrupts the circuit, protecting other, more expensive components from damage and reducing the risk of fire caused by overheating. 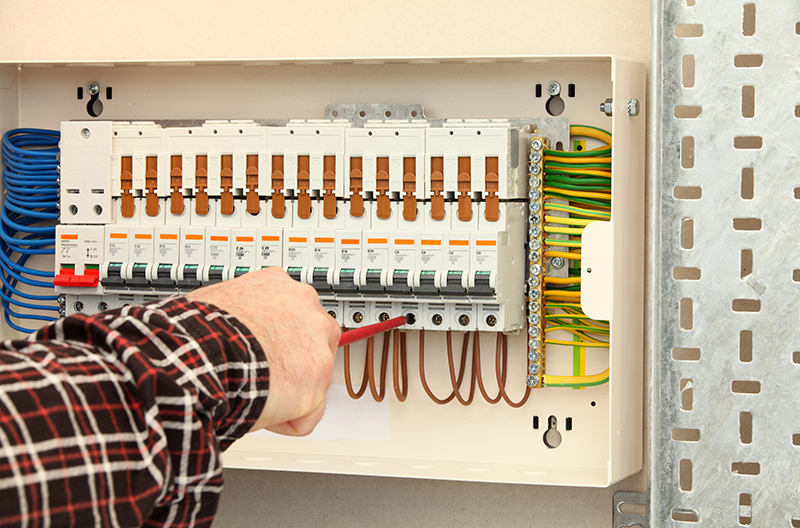 Without a fuse, an electrical appliance could be damaged by excess current. This type of safety measure is known as sacrificial protection – the fuse is destroyed in order to save the rest of the circuit.